How to Choose Good Web Hosting Service. Hosting is a crucial aspect of every website. It’s actually impossible to run a website without choosing a perfect website hosting service. A server downtime can potentially hurt your website’s functioning and ruin all your website development efforts. If you’re quite serious about your website and want to make sure that your site is in good hands, it is vital to choose the right kind of web hosting service. Those of you who’re unsure about the kind of web hosting service to choose, here’s a blog that will render all the details you need to know. Here, I’ve mentioned a checklist that will come handy while choosing a good Hosting service for your website. ✔ Who owns the domain? This is the foremost question you need to find an answer for. You need to check whether the hosting company has retained ownership for the company or you’re required to pay a hefty sum to buy the domain back. ✔ What’s the scene of domain’s renewal? - Although most of the renowned Website Hosting Companies offer the domain free for the first year, you may be required to pay a fee for its renewal. It is better to check out this price to avoid any budget mismanagement at the end. Bandwidth and disk space are two important aspects that play a crucial role in the success or failure of a website. You need to assure that you’ll be able to handle all the traffic that will come in for your website. Also, make sure the Web Hosting Company guarantees you a disk space that is sufficient for the huge data transfer. It’s quite usual to get attracted towards “Unlimited Storage” offers but as someone who’s looking for a good web hosting service, you must avoid choosing them. Actually, there is no such thing as “Unlimited Storage”. You need to realize this fact and choose a company that won’t try tempting you towards baseless offers. Well, it is not necessary to purchase both, domain and hosting from the same Web Hosting Company. Domain names need not be registered at the same company. This doesn't means these domains aren't’t trustworthy. All that you need to pay attention to is that the company you’re choosing for purchasing the domain must be able to serve your online identity perfectly. Prior to striking a deal with a Web Hosting Company, make sure to look into its background. 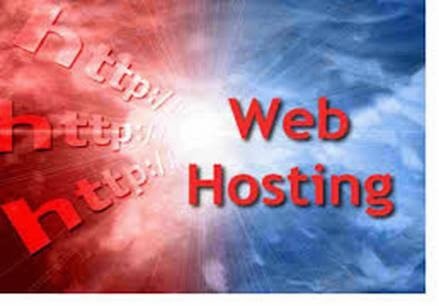 You must clarify about all the previous clients that have been handled by the company and whether it holds a good reputation in the Web hosting market. You need to keep a check over the bias and subjective verdicts that have been posted for the respective Web Hosting Company. This check must be carried out irrespective of the company’s overall customer base. While there are many web hosting service providers who’re ready to pay one year of revenue for a single customer, others tend to get carried away with the tempting coupons and commission rebates that are available along with the website hosting plan. It is recommended to stay far from such offers, as they might be simply a part of plan proposed to extract huge sums of cash from you. It is highly advised to avoid any long-term contracts with a web hosting service provider unless you trust the company thoroughly. Try judging the company’s worth by having a look at its track record. You must make sure to conduct a detailed analysis of how the company has been serving its clients and what kind of feedback has been received. There are many web hosting service providers who tend to extract loads of cash from innocent website owners. In order to prevent yourself from falling prey to such fraudsters, it is essential to set a complete web hosting service costing. As the customer, you need to make sure that the prices mentioned in the contract are the ones you need to pay and there’s no additional hidden fee that will likely blog up your mind once your web hosting service plan expires. Web Hosting is something that can definitely not be taken for granted. If you want to see your website among the top-ranking sites available on the internet then it is crucial to choose a hosting service that will take good care of your website and host it finely. 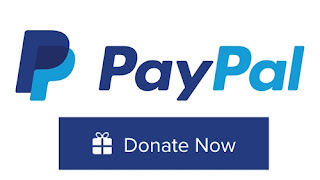 Please do share your feedback on the above post, using the comments box below. Edword Jones is a web developer by profession and a writer by hobby and works for OSSMedia Ltd company as Joomla Programmer. He loves sharing information regarding wordpress, Magento, Drupal and Joomla development tips & tricks.